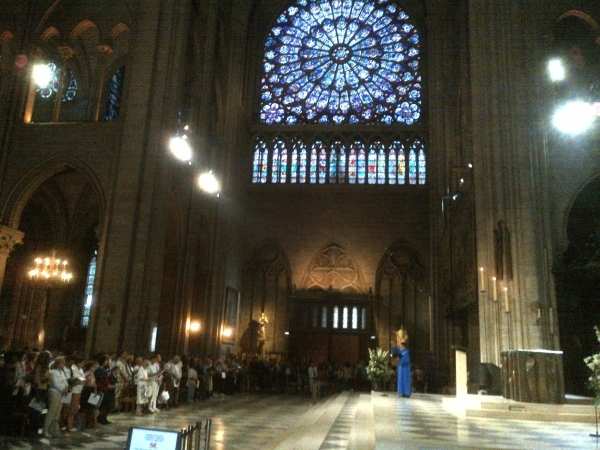 No visit to Paris would be complete without seeing Notre Dame Cathedral. Construction was started in 1163 and essentially completed by 1345. 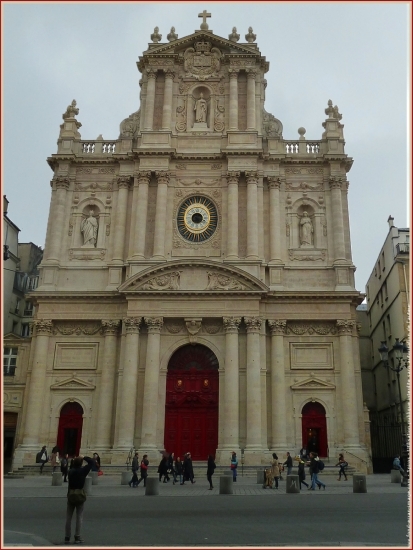 Here is the western facade of Notre-Dame de Paris. While we were there, the church was celebrating its 850th anniversary. Here is the southern facade of Notre-Dame de Paris, looking across the Seine River. 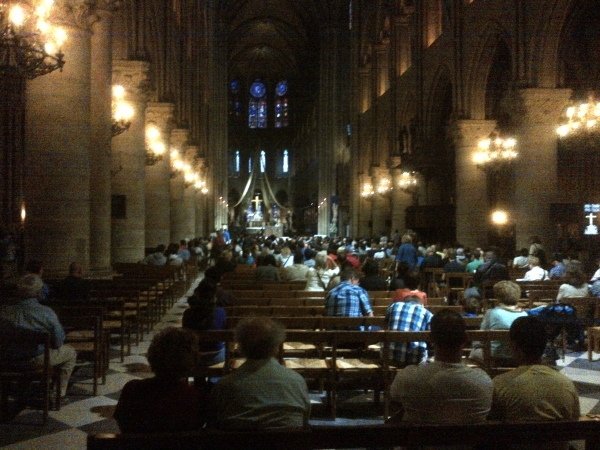 We arrived in time to attend Vespers service at Notre Dame. 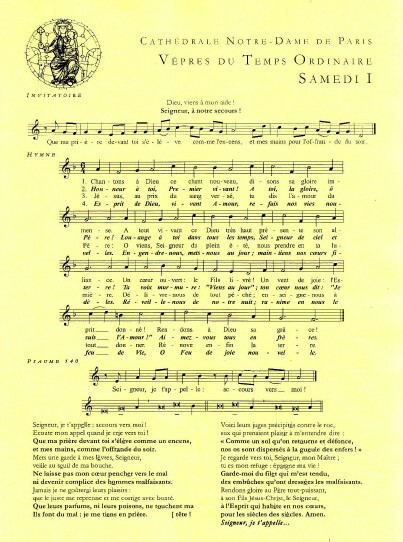 It gave Richard an opportunity to practice reading the French songs and listen to the scriptures read in French.